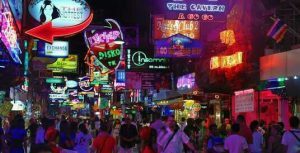 Check out the best bars on Soi 6 with reviews and prices for bars on Soi 6 Pattaya. All the info you need in one handy place. Do you need somewhere to relax, recuperate and enjoy the company of new lady friends? this article tells you which hotels will welcome you. Did you wake up too late? Then after midnight until sunrise the night clubs are the place to be. Find a freelance girl or a gogo worker who has finished her shift for the day… Pattaya clubs: insomnia, marine, 808, gogo girls at freelance prices?